Overseas Cement Industrial have Ready Mix and Block Factory previously operated a number of different systems, says Finance Manager Mr.Reayd “We have used one system for Accounting system, one system for sales another for workshop, and in all cases we had to have numerous additional systems to run the business. We had multiple databases for accounting, contacts, maintenance contracts, servicing, workshop and several more besides, separate systems for production and delivery. Data varied between the systems, and no one had the complete picture.As the business grew, it became increasingly important to implement a system that would improve visibility and co-ordination across the organization, improve data consistency and reduce the need to rekey information. 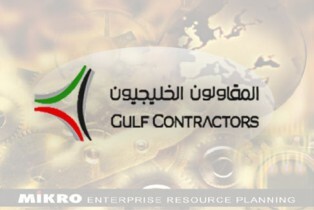 The company decided to link all departments in one system Enterprise by MIKRO ERP, MIKRO now has 15 users across multiple sites, using functionality including Accounts, Finance, Order processing and Stock, Purchase orders, Customer Agreement, Concrete Production and Mix Design, Delivery, Fixed Assets, Workshop and vehicle maintenance and Payroll processing as per UAE specification. “Enterprise has allowed us to do away with all our old systems at one stroke we’ve replaced them all with a single, truly integrated business system that offers a great deal of extra functionality. Workshop manager can see how many job card daily with tracking the status. Storekeeper can record Goods received notes, and spare parts issue based on specific job card as described by technical team. Salespeople can setup customer agreement and selected mix design also they can see credit control history for the clients, and credit controllers see the status of orders and delivery. Production department can setup mix design with easy to customize it during work order and tracking products cost. This project is one of the biggest projects were implemented more than a system and succeeded in linking all departments and locations. Succeeded in the implementation a system for workshop repair and maintenance of equipment of the company. We have succeeded in implementing the system to procurement where there is two departments for procurement One to purchase spare parts. And one to purchase raw materials. Succeeded in the implementation of the system to monitor the warehouses of raw materials as well as spare parts warehouses. The system has been implemented to monitor manufacturing processes and supply of ready-mix concrete to customers at the level of different projects and different places. The system has been implemented in the planning department, where manufacturing is planned depending on customer requests.